A laptop on a mission. 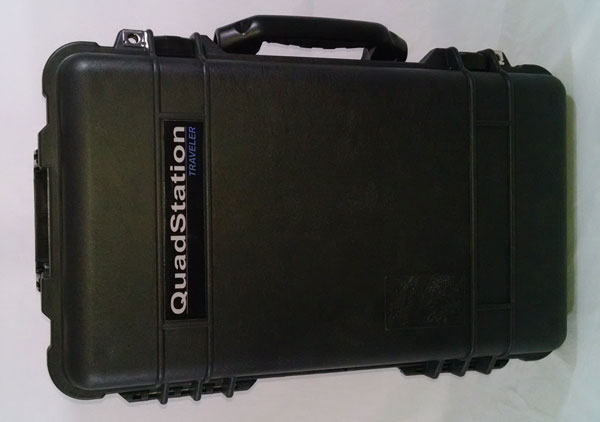 The QuadStation Traveler, is a 3 display laptop system which includes 2 lightweight external USB powered displays and carry case. 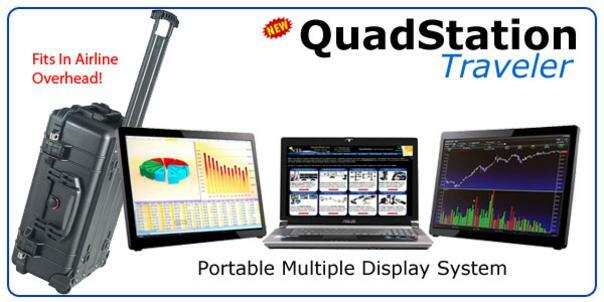 For the multi display professional who commutes between locations, this system is for you. QuadStation Traveler Laptop with 3 screens . Use the laptop alone or take the 2 portable USB monitors with you . 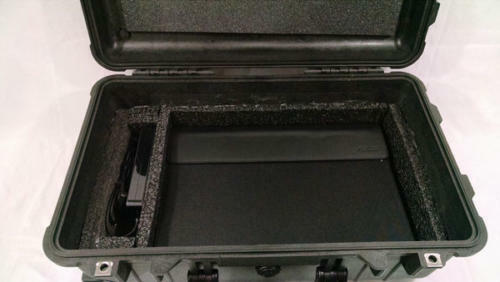 Everything fits in the ruggedized case which is regulation size for aircraft overhead! The two ultra slim and lightweight USB monitors mean less cables! A single USB cable for each monitor provides power and video with no power cable needed. The monitors run off of the laptop battery and require only 5w of power. If you have to run out to a meeting just grab the laptop and go. 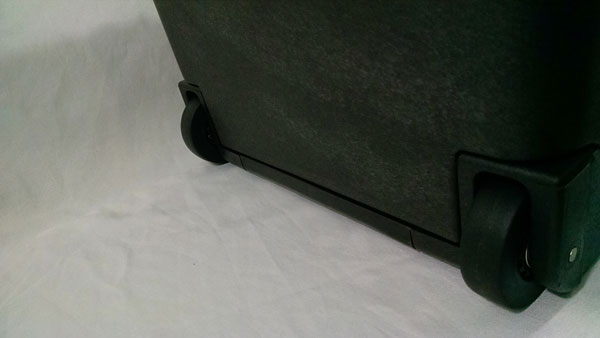 Or throw one or both of the monitors in your briefcase, they are protected by the touch monitor cases which double as a monitor stand. 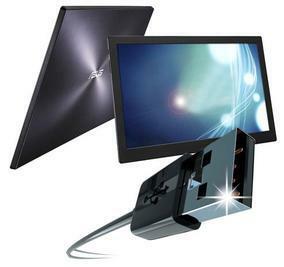 USB Powered monitors make it easy to take your multi display with you on the road! 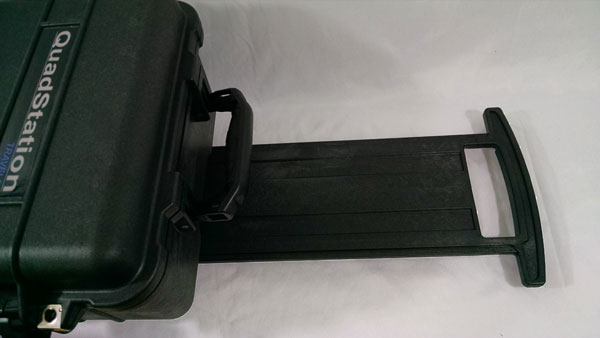 Rugged weatherproof case fits in aircraft overhead! 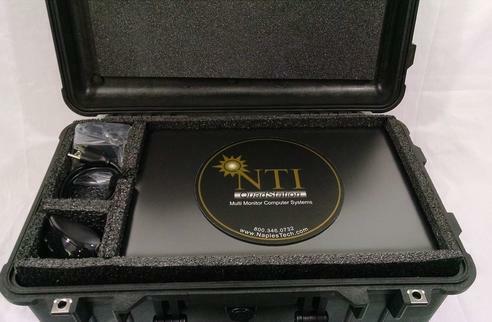 Everything fits securely in our custom, ruggedized carrying case which is regulation size to fit in the overhead of any commercial aircraft. The retractable pull handle and wheels make it easy to grab and go. Very easy to unpack and repack the system. If you just need the laptop, leave the rest behind and go. 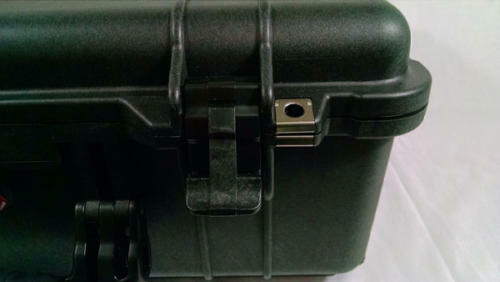 Everything fits in the rugged case. Solid weatherproof case fits in aircraft overhead.